Despite parents’ pleas to deal now with a coming deficit that could require huge cuts, a narrow majority of LA Unified’s school board on Tuesday approved a new contract that commits the district to paying for its employees’ generous health benefits at current levels for the next three years. The contract passed 4-2, with board members Nick Melvoin and Ref Rodriguez casting no votes. The eight labor unions covered by the contract — representing 60,000 employees — must also approve the deal. United Teachers Los Angeles held their vote last week, but no results will be announced until all unions have voted. Rodriguez, who joined Melvoin in voting against the deal, was concerned about the contract’s length and said he didn’t want the decision to result in skyrocketing costs that could increase class sizes. “It may be a deal we regret three years from now,” he said. While the majority of board members voted for the contract, they did vow to be tougher in ongoing salary negotiations, responding to criticism from more than a dozen parents who showed up to protest the contract for not addressing a deficit that’s less than three years away. Although the nation’s second-largest school district does not have the highest salaries, it does have some of the most generous medical benefits. Employees and their families pay no monthly premiums and receive full health benefits after they retire. Those realities include $13.6 billion in unfunded liabilities for employee benefits, for which only $350 million has been set aside, according to the district’s labor negotiator Najeeb Khoury. 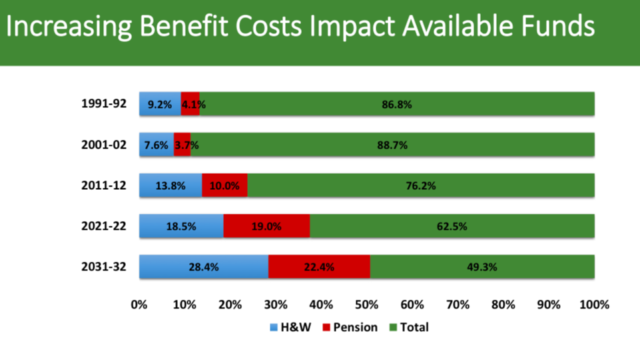 He said Tuesday that a new actuary report is expected next week that may show that the district’s Other Post-Employee Benefits (OPEB) obligations will be even higher. In the deal, the district agreed to continue to pay $1.1 billion per year for health and welfare benefits, which will save the district $190 million over the three years of the contract. In return, the unions will allow a reserve fund that now totals nearly $300 million to cover any increases in costs. 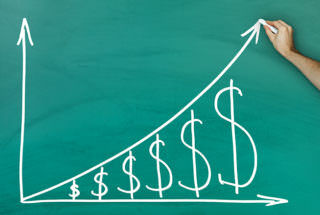 Healthcare costs have been rising about 6 percent a year, and in the past the district has covered those increases. García, Kelly Gonez, George McKenna, and Scott Schmerelson voted for the deal, with Rodriguez and Melvoin against it. Student school board member Benjamin Holtzman voted no, but his vote doesn’t count in the overall tally. Richard Vladovic was not feeling well and left before the vote. Interim Superintendent Vivian Ekchian also announced that parents will have some input into labor contracts through a new committee that is being formed. It’s not a seat at the negotiating table, which parents have been asking for, but it was a nod toward the importance of parent voice. “I look forward to having parents on the committee who will speak for the students and so we can stabilize the district in the next two years,” Ekchian said. Meanwhile, the school board approved 1,600 Reduction in Force notices for senior management employees and other non-school-based certified administrators. The same number of notices were sent out last year, and in the end, 115 employees lost their administrative jobs but most were reassigned to other positions. The year before, 1,700 notices were given to administrators, but all of them ended up keeping their jobs. * This article was updated to correct what the health benefits offer. This is the chart Nick Melvoin cited, from the Health & Benefits report given by the district in November.